The contributions of Ibn Khaldun to the development of economic thought have gone largely unnoticed in the academic realm of Western nations, this despite recent research focusing on Khaldun's magnum opus, Al-Muqaddimah. In this paper, we examine the similarities between Al-Muqaddimah and Adam Smith's "Wealth of Nations", particularly as they discuss the benefits of a system of specialization and trade and the role of markets and price systems. This article was presented to the Conference Encuentro internacional sobre tradición y modernidad en el pensamiento económico árabe-musulmán: La contribución de Ibn Jaldún organised in Madrid in 3-5 November 2006 by The Islamic Research and Training Institute, a member of the Islamic Development Bank Group, in collaboration with Universidad Nacional de Educacion a Distance (UNED) of Spain, and the Islamic Cultural Centre of Madrid: See the published version of the article. We thank Dr James R. Bartkus and Dr M. Kabir Hassan for their permission to republish a slightly revised version of the article. The illustrations were added by the editorial board of www.MuslimHeritage.com. Ibn Khaldun, while widely regarded in the Arab/Islamic world as a great 14th century social scientist, remains relatively unknown in the West for his scholarly contributions, particularly in the development of economic thought. This relative obscurity lingers despite the fact that Western scholars have been analyzing the economics of Ibn Khaldun for over 50 years. Ameer Ali and Herb Thompson (1999) recently addressed this issue in the context of the tendency of the academy in the West to ignore the work of Muslim scholars in mapping the history of economic thought . 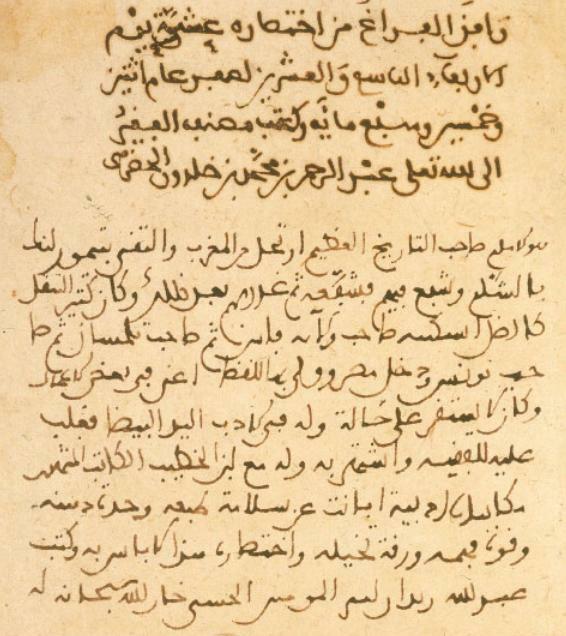 Figure 1: A page from a manuscript of Ibn Khaldun's autobiography Al-ta'rif bi-Ibn Khaldun wa-rihlatuhu sharqan wa gharban. (Source). Whereas prior research has examined the contributions of Ibn Khaldun in the broad framework of the history of economic thought (Ali and Thompson, 1999; Essid, 1987) or strictly elaborating on those contributions (Soofi, 1995; Boulakia, 1971), in this essay, we seek to narrowly examine the contributions of Ibn Khaldun to economic thought as they compare to those of Adam Smith, particularly in regards to the benefits of division of labor. Dieter Weiss touched on this topic in a 1995 paper entitled Ibn Khaldun on Economic Transformation, looking at the similarities between Khaldun's and Smith's thoughts on the benefits to society of specialization and cooperation in production. Weiss notes that Adam Smith devotes the first chapter of An Inquiry into the Nature and Causes of the Wealth of Nations to the subject of the division of labor and its associated benefits, while Ibn Khaldun likewise discusses these same benefits four hundred years earlier in the first chapter of Al-Muqaddimah. Certainly, the subject is expounded upon in far more detail by Adam Smith, but that should not preclude the interested scholar from further examination of the similarities between the economics of Ibn Khaldun as they relate to those of the "Father of Economics" himself . We will expand this comparative analysis between these two great thinkers in the hopes of furthering the discussion of the history of economic thought outside of the typical western civilization boundaries. Boulakia (1971) provides a succinct biography and introduces the economic ideas of Ibn Khaldun, as well as interpreting how Khaldun reached economic conclusions and "organized them into an extremely coherent model ." Boulakia lays out Khaldun's ideas found in Al-Muqaddimah relating to a theory of production, theories of value, money and prices, a theory of distribution, as well as theories of cycles in population and public finance. We note here that these theories are essentially a collection of lines from Al-Muqaddimah that Boulakia has organized into categories of modern economic theory. Ibn Khaldun set out to write a history of the world and his consideration of economic concepts was subordinate to those of history and sociology. As organized by Boulakia, the economic theories of Ibn Khaldun are considerably coherent and there is little doubt that these ideas remain relevant to both modern economic theory and the development of a history of economic thought. 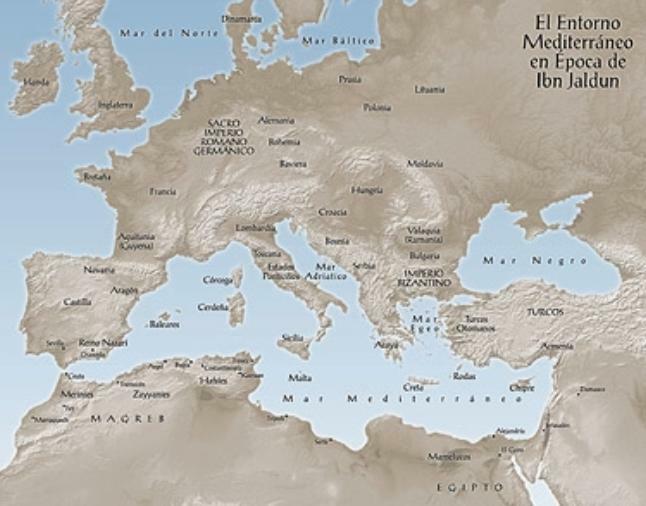 Figure 2: The travels of Ibn Khaldun and their geopolitic background: (a) Map of the Mediteranean basin in the 14th century; (b) map of Ibn Khaldun's travels from Spain to the Islamic East. (Source). However, the power of the individual human being is not sufficient for him to obtain (the food) he needs, and does not provide him with as much food as he requires tolive. Even if we assume an absolute minimum of food-that is, food enough for one day, (a little) wheat, for instance-that amount of food could be obtained only after much preparation such as grinding, kneading, and baking. Each of these three operations requires utensils and tools that can be provided only with the help of several crafts, such as the crafts of the blacksmith, the carpenter, and the potter. Assuming that a man could eat unprepared grain, an even greater number of operations would be necessary in order to obtain the grain: sowing and reaping, and threshing to separate it from the husks of the ear. Each of these operations requires a number of tools and many more crafts than those just mentioned. It is beyond the power of one man alone to do all that, or (even) part of it, by himself. Thus, he cannot do without a combination of many powers from among his fellow beings, if he is to obtain food for himself and for them. Through cooperation, the needs of a number of persons, many times greater than their own (number), can be satisfied(1:89) . … a workman not educated to this business (which the division of labour has rendered a distinct trade), nor acquainted with the use of the machinery employed in it (to the invention of which the same division of labour has probably given occasion), could scarce, perhaps, with his utmost industry, make one pin in a day, and certainly could not make twenty. But in the way in which this business is now carried on, not only the whole work is a peculiar trade, but it is divided into a number of branches, of which the greater part are likewise peculiar trades. One man draws out the wire; another straights it; a third cuts it; a fourth points it; a fifth grinds it at the top for receiving the head; to make the head requires two or three distinct operations; to put it on is a peculiar business; to whiten the pins is another; it is even a trade by itself to put them into the paper; and the important business of making a pin is, in this manner, divided into about eighteen distinct operations… (1:1:3) . Smith continues with a comparison between the output of a single hypothetical pin-maker (without division of labor) and a pin factory that he had witnessed with ten employees specializing in one or several of the distinct operations mentioned. He opines that an individual could make no more than twenty pins per day in the absence of division of labor, while the ten employees could collectively produce twelve pounds, or roughly 48,000 pins in a day. Smith continues with three particular circumstances that allow for improvements in productivity through the use of division of labor. The improved dexterity of a worker who specializes and the greater ability to improve productivity through the use of machines resemble the underlying premise for gains in Khaldun's domain. Although Ibn Khaldun seems to hint that returns to investment in human capital may be the true source of gains when he says, "each of these operations requires a number of tools and many more crafts than those just mentioned," when he reasons that one person does not have the power to even obtain the food he needs . But what is obtained through the co-operation of a group of human beings satisfies the need of a number many times greater (than themselves). For instance, no one, by himself, can obtain the share of the wheat he needs for food. But when six or ten persons, including a smith and a carpenter to make the tools, and others who are in charge of the oxen, the plowing of the soil, the harvesting of the ripe grain, and all the other agricultural activities, undertake to obtain their food and work toward that purpose either separately or collectively and thus obtain through their labor a certain amount of food, (that amount) will be food for a number of people many times their own. The combined labor produces more than the needs and necessities of the workers (4:270) . If the labor of the inhabitants of a town or city is distributed in accordance with the necessities and needs of those inhabitants, a minimum of that labor will suffice. The labor (available) is more than is needed. Consequently, it is spent to provide the conditions and customs of luxury and to satisfy the needs of the inhabitants of other cities. They import (the things they need) from (people who have a surplus) through exchange or purchase. Thus, the (people who have a surplus) get a good deal of wealth (4:271) . And thus the certainty of being able to exchange all that surplus part of the produce of his own labour, which is over and above his own consumption, for such parts of the produce of other men's labour as he may have occasion for, encourages every man to apply himself to a particular occupation, and to cultivate and bring to perfection whatever talent of genius he may possess for that particular species of business (1:2:7). Smith then draws the controversial (for the time period) distinction between monetary wealth (stockpiles of gold and silver) and the true wealth of a country, the value of the exchange of goods amongst countries. Thus, Smith advocates a system of specialization and individual trade that ultimately supports the wealth of entire nations. The common people who hear them think that the prosperity of these peoples is the result of the greater amount of property owned by them,"' or of the existence of gold and silver mines in their country in larger number (than elsewhere), or of the fact that they, to the exclusion of others; appropriated the gold of the ancient nations. This is not so... A large civilization yields large profits because of the large amount of (available) labor, which is the cause of (profit) (4:280-281). It was not by gold or by silver, but by labour, that all the wealth of the world was originally purchased; and its value, to those who possess it, and who want to exchange it for some new productions, is precisely equal to the quantity of labour which it can enable them to purchase or command (1:5:13). Figure 3: The façade of The Alcázar of Seville in Spain, originally built by the Almohads who called it first Al-Muwarak, on the site of the modern day Alcázar. (Source). 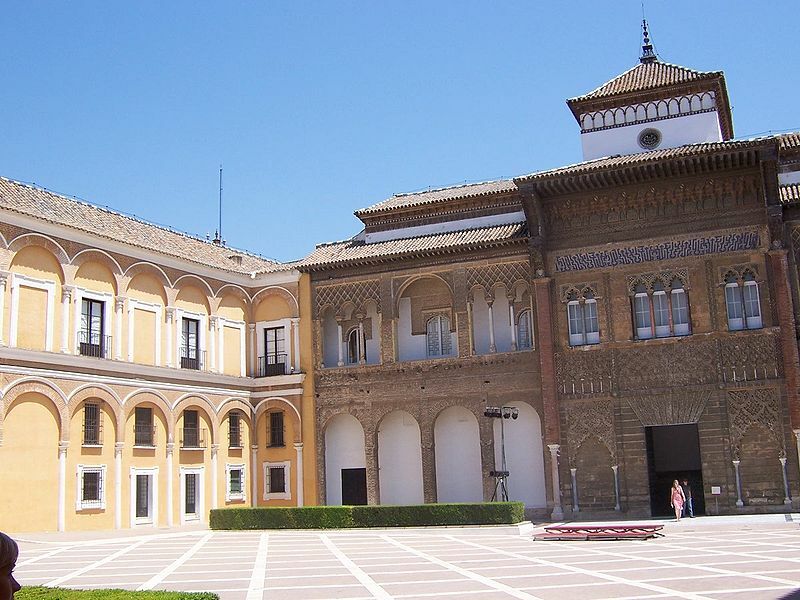 The Real Alcázar Palace hosted between 19 May and 30 September 2006 the exhibition Ibn Khaldun, the Mediterranean in the 14th century: The Rise and Fall of Empires. The exhibition looked at the political, economic and social relationships between Europe and the Arab-north African world in the 14th century. A special focus was laid on the broad exchanges and conflicts that traversed this geographical framework, which produced a rich cultural and artistic legacy that marked the period. See the website of the exhibition. When civilization (population) increases, the (available) labor again increases. In turn, luxury again increases in correspondence with the increasing profit, and the customs and needs of luxury increase. Crafts are created to obtain (luxury products). The value realized from them increases, and, as a result, profits are again multiplied in the town. Production there is thriving even more than before. And so it goes with the second and third increase. All the additional labor serves luxury and wealth, in contrast to the original labor that served (the necessities of) life. The city that is superior to another in one (aspect of) civilization (that is, in population), becomes superior to it also by its increased profit and prosperity and by its customs of luxury which are not found in the other city. The more numerous and the more abundant the civilization (population) in a city, the more luxurious is the life of its inhabitants in comparison with that (of the inhabitants) of a lesser city. This applies equally to all levels of the population, to the judges (of the one city) compared with the judges (of the other city), to the merchants (of the one city) compared with the merchants (of the other city), and, as with the judges and merchants, so with the artisans, the small businessmen, amirs, and policemen (4:272). When the market is very small, no person can have any encouragement to dedicate himself entirely to one employment, for want of the power to exchange all that surplus part of the produce of his own labour, which is over and above his own consumption, for such parts of the produce of other men's labour as he has occasion for. There are some sorts of industry, even of the lowest kind, which can be carried on nowhere but in a great town (3:8). In the lone houses and very small villages which are scattered about in so desert a country as the highlands of Scotland, every farmer must be butcher, baker, and brewer, for his own family. In such situations we can scarce expect to find even a smith, a carpenter, or a mason, within less than twenty miles of another of the same trade (3:8). Smith provides these examples in the context of establishing limitations to the benefits of division of labor, specifically defining the limits placed by the extent of the market. He continues by demonstrating the benefits of founding cities on waterways in order to extend the market as widely as possible, providing both contemporary and historical examples. Adam Smith's thoughts once again parallel those of Ibn Khaldun, though in this case Smith provides the further insight that more populous areas provide more ability for workers to specialize as an aside to his specific detailing of the impact of the extent of the market. 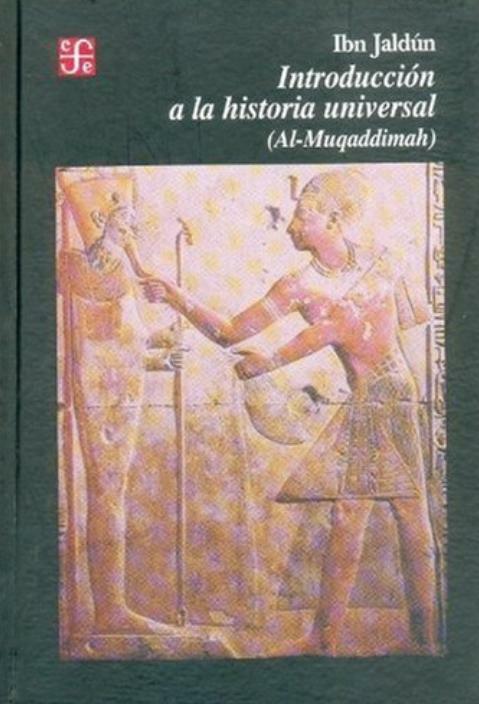 Figure 4: Front cover of the Spanish edition of the Muqaddima: Introduccion a la historia universal: Al-Muqaddimah (San Diego, CA: Fondo de Cultura Economica USA, 2006, Hardcover). These ideas are further developed by both Khaldun and Smith into an understanding of how markets function to determine prices. Khaldun discusses the differences in prices for labor in different locations and attributes the differences in wages to the differences in the stages of development of the localities. That is, when demand for luxury goods increase due to increasing population (and therefore increased prosperity), the wages of those that provide these goods will rise. Figure 5: Pages from a manuscript of Lubābu al-muhassal fī usūli al-dīn (the Quintessence of the foundations of religion) by Ibn Khaldun. 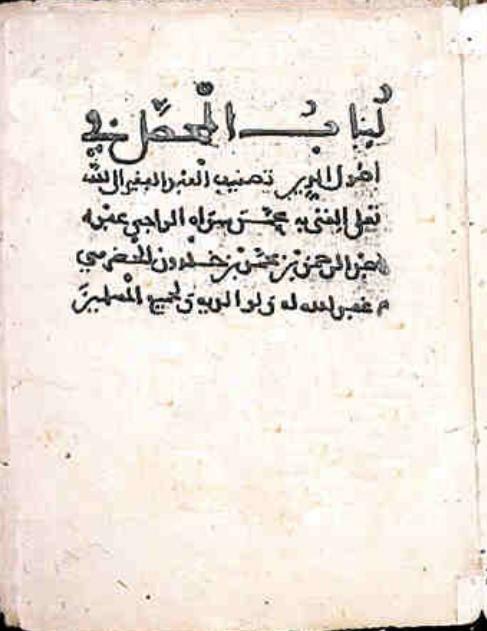 This text was, a commentary on the theology of Fakhr al-Din al-Razi, was written by Ibn Khaldun at the age of 19 under the supervision of his teacher al-ābilī in Tunis. (Source) (click on "Ibn Khaldun"). Yet again, the parallels between Smith's and Ibn Khaldun's thoughts are easily drawn. Both authors discuss the roles of supply and demand on prices, both utilize the concept of labor as the underlying source of value of goods, and they both discuss the role that the labor of a population plays in the wealth of that nation. It is well known that many of the ideas put forth in Wealth of Nations, including the benefits of division of labor, did not originate entirely with Adam Smith. Although some debate remains regarding the extent of the originality of Smith's ideas, this debate has largely ignored the contributions of Ibn Khaldun to the development of key economic principals attributed to Smith . We have examined some of the similarities between the major works of Ibn Khaldun and Adam Smith in order to encourage the inclusion of Ibn Khaldun's writing in the study of the development of economic thought. Further research is necessary to more closely examine how Ibn Khaldun's thoughts on the role of prices and markets, money, taxes and the economic role of government fit into the context of modern economic theory. To be sure, this is not the first paper acknowledging the role of Ibn Khaldun, but one that attempts to more firmly establish the role of Khaldun as progenitor of much of the foundation of modern economic thought, particularly as put forth in Adam Smith's Wealth of Nations. 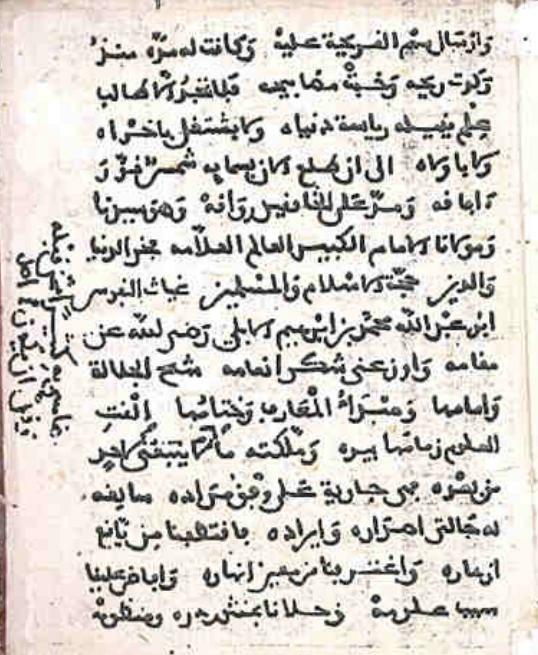 Figure 6: Beginning of Ibn Khaldun's text Shifā' al-sā'il fi tahdhīb al-masā'il, a work on Sufism composed around 1373 in Fes, Morocco. MS in Princeton University Library, folio 62. (Source). Ali, A., Thompson, H., 1999. "The Schumpeterian Gap and Muslim Economic Thought", The Journal of Interdisciplinary Economics 10, 31-49. Boulakia, J.D., 1971. "Ibn Khaldun: A Fourteenth-Century Economist", Journal of Political Economy 79, 1105-1118. Essid, M.Y., 1987. "Islamic Economic Thought". In: Lowry, S.T. (ed. ), Pre-Classical Economic Thought (77-146). Boston: Kluwer Academic Publishers. Ibn Khaldun, 1967. The Muqaddimah: An Introduction to History. Trans. Franz Rosenthal, Bollingen Series XLIII. Princeton, NJ: Princeton University Press. Soofi, A. S., 1995. "Economics of Ibn Khaldun: Revisited", History of Political Economy 27, 387-404. Smith, A., 1852, An Inquiry into the Nature and Causes of the Wealth of Nations. London: T. Nelson and Sons, Paternoster Row; and Edinburgh. Sun, G.Z., 2005. Readings in the Economics of the Division of Labor: The Classical Tradition. Singapore: World Scientific Publishing Co. Pte. Ltd.
 Beginning with Schumpeter's History of Economics Analysis (1954), the authors argue that a trend was established in the sub-field of the history of economic thought of ignoring the work of Arab/Islamic scholars and that "at the very least, the history of economic thought should incorporate the work of Arab/Islamic thinkers." Adam Smith allocates an entire chapter to the introduction of the subject of division of labor before expounding on the underlying principles and limits of the theory, while Ibn Khaldun includes a single paragraph on this topic. This is not unexpected as Ibn Khaldun was principally writing as a historian, incorporating elements of the other social sciences as a means of providing historical context to his writing. The extent of Ibn Khaldun's writing directly related to economics should not detract from the value of his contributions to the development of economic thought. References to The Muqaddimah throughout this essay will be listed as the chapter and page number from Franz Rosenthal's 1958 translation. Rosenthal's comments appear throughout the translation in parentheses. References to An Inquiry to the Nature and Causes of the Wealth of Nations throughout this essay will be listed as the book, chapter and page number from an 1852 edition published in London and Edinburgh by T. Nelson and Sons and Paternoster Row. Crafts refer to skilled labor or skilled occupations. Here and throughout much of The Muqaddimah, labor is used to mean the product of labor. Much of the debate centers on the extent of Smith's dependence upon the works of the French philosophers in general, and Diderot's Encyclopedie in particular, though others argue that there are other influences found in Smith's writing. * Ph.D., Southeastern Louisiana University. ** Ph.D., University of New Orleans.